When we put time, money and our vacation dreams into planning a surf vacation, we want waves! Sometimes the weather gods just don’t hear us and deliver calm seas. 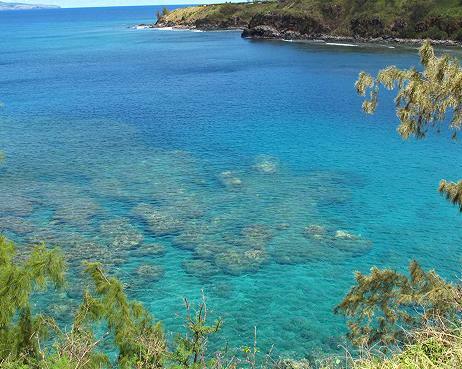 This was the situation recently as we arrived with great anticipation on Maui this past December. Our first stop was the Naish Maui Pro Center right near the airport in Kahului. We picked up our reserved Hokuas along with lots of great local insights and some talk-story time with the crew of Coach, Jay, Martin and Sam. It wasn’t all calm seas. On our first full day we had the great opportunity to witness huge swells rolling in at Jaws and enjoyed hours of fun up on Pe’ahi Bluff. Unbelievable rides by many local water athletes riding both prone and standup were documented by photographers and can be found online. Check out the Facebook and Instagram pages of Chuck Patterson, Connor Baxter, Kody Kerbox, Kai Lenny, Matt Meola and Zane Schweitzer, just to name a few. The waves of the north shore are absolutely out of our talent-zone. We look forward to riding west side waves at Launiupoko, S-Turns, Rainbows and such. 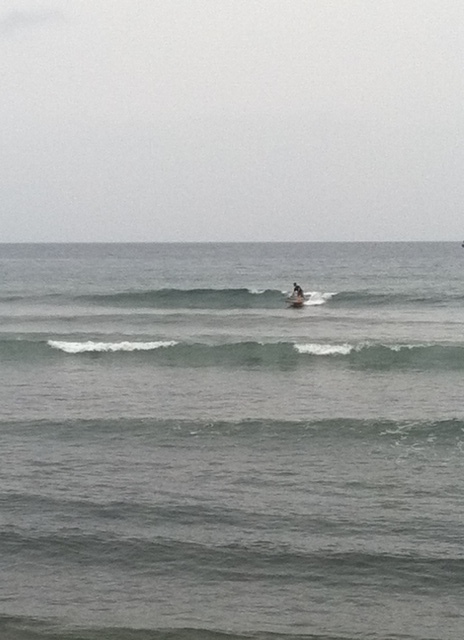 In that part of the island we had a day or two of little ankle biters and knee high fun waves. 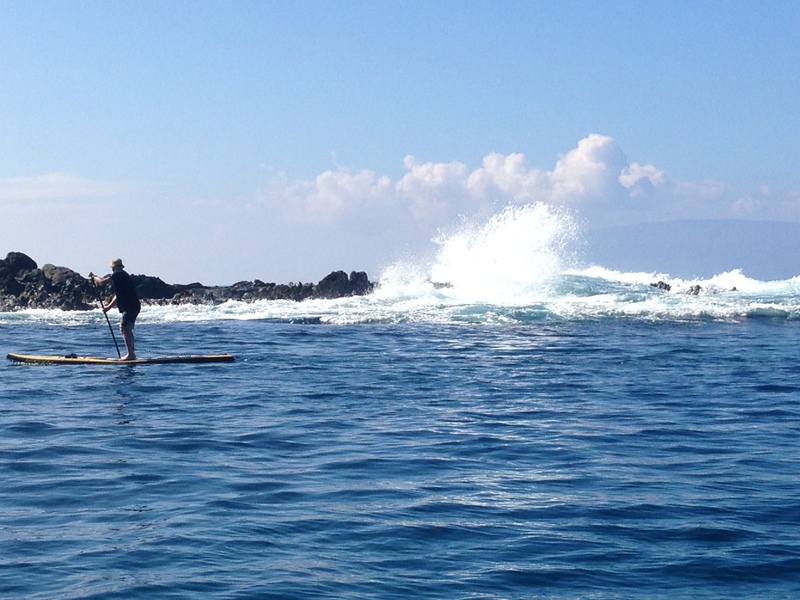 The rest of the time a mix of Kona winds and the usual trade winds greeted us with sunshine each morning – but flat seas. No sad faces on us! 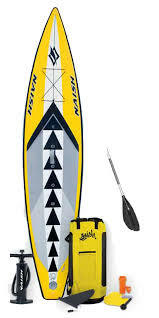 We had traveled with the handy backpack filled with our Naish ONE 12’6″ inflatable boards. At 30″ wide they are as stable as they are fast. Talk about an easy way to enjoy our daily down wind runs on crystal clear, flat seas! With some local advisement from the team at Naish Maui Pro Center, we checked tide tables and local maps in order plan our adventures. One day we parked our car at Napili Bay and down-winded to the Hyatt at Kaanapali – about 5 miles. Later in the day we walked back to the car – along a terrific walking path and some quiet streets to Napili. Another day we drove to Lahaina and took the local bus ($2) back to Kaanapali. By noon we were on the water doing another down wind run of about 4 miles. The whales were active that week. We wished we were closer to Lanai where they splashed and played, but their spouts and breeching were still a cool sight to see even from a distance. Mid week we took a few hours to paddle from Napili Bay in and out of various bays heading north past Kapalua toward Honolua Bay and back. Turtles and clear views of the reef were with us 100% of the time. Inspired by that, we hiked the light weight Naish ONEs into the beach at Honolua Bay with snorkels and masks. After paddling out to the point (wishing the swells would provide a chance to watch the local talent ride) we circled back and spent a few hours observing tropical fish of all kinds. Our final day delivered! Thigh to waist high glassy goodness at Launiupoko where we surfed our sweet Hokua’s until the tide went so far out we knew it was wise to take a break. Take-away idea: If SUP surfing is your goal and the seas are delivering a steady breeze and calm seas, think down wind fun. If you rented your board you may be able to trade out your shorter SUP surfboard for a longer board better for down wind paddling. Your balance and conditioning will improve and you won’t miss a single day of great ocean fun on your vacation.